A liquidity premium compensates investors for investing in securities with low liquidity. 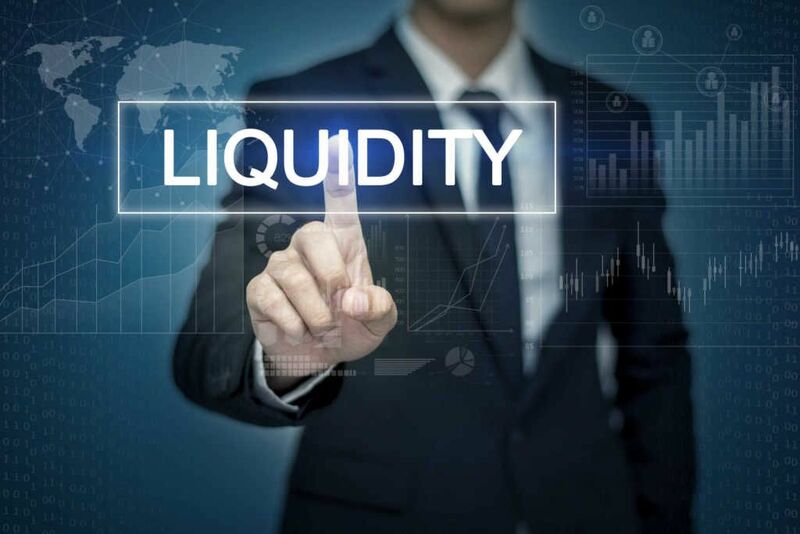 Liquidity refers to how easily an investment can be sold for cash. T-billsTreasury Bills (T-Bills)Treasury Bills (T-Bills) are a short-term financial instrument that is issued by the U.S. Treasury with maturity periods ranging from a few days to 52 weeks. They are considered the safest debts since they are backed up by the full faith of the Treasury Department of the United States Government. When an investor buys and stocks are considered to be highly liquid since they can usually be sold at any time at the prevailing market price. On the other hand, investments such as real estateReal EstateReal estate is real property that consists of land and improvements, which include buildings, fixtures, roads, structures, and utility systems. Property rights give a title of ownership to the land, improvements, and natural resources, such as minerals, plants, animals, water, etc. or debt instruments are less liquid. It may take quite some time to sell real estate at the desired price. Some debt instruments must be held for a certain period of time before being sold. Why do liquidity premiums exist? Illiquid investments carry more risk than comparatively more liquid investments. This is because holding a single security for a long period of time exposes the investor to several risk factors, such as market volatility, potential default, economic downturns, interest rate fluctuations, risk-free rateRisk-Free RateThe Risk-Free Rate of return is the interest rate an investor can expect to earn on an investment that carries zero risk. In practice, the Risk-Free rate is commonly considered to equal to the interest paid on 3-month government Treasury bill, generally the safest investment an investor can make. fluctuations, etc. When investors tie up their money in a single security, they also incur the opportunity costOpportunity CostOpportunity cost is one of the key concepts in the study of economics and is prevalent throughout various decision-making processes. Opportunity is the of investing in other assets that may outperform the illiquid investment. Due to the additional risks, an investor will demand a higher return, known as a liquidity premium. 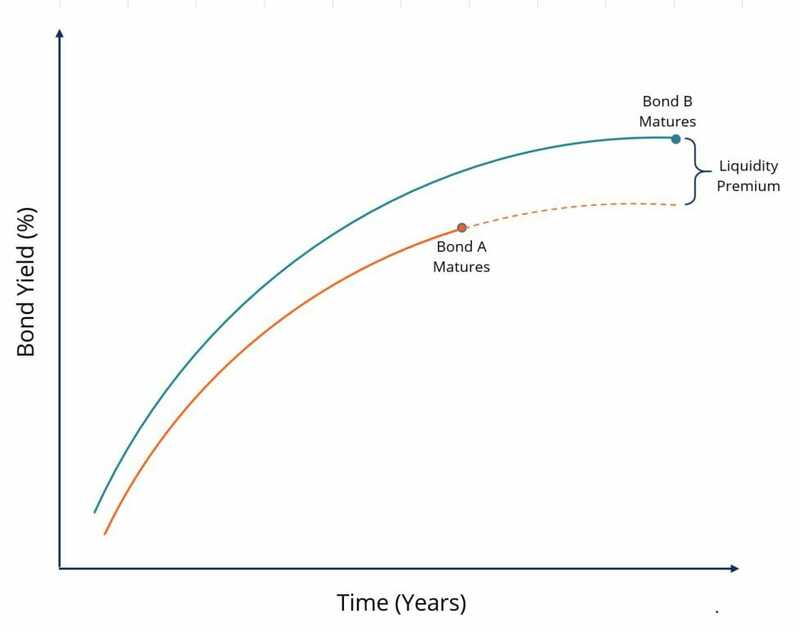 Here, investors that buy Bond B command a higher return (a liquidity premium) to compensate them for investing in a less liquid investment. The example above assumes that all other factors are held constant (i.e., the only difference is time to maturity). Risk-Free RateRisk-Free RateThe Risk-Free Rate of return is the interest rate an investor can expect to earn on an investment that carries zero risk. In practice, the Risk-Free rate is commonly considered to equal to the interest paid on 3-month government Treasury bill, generally the safest investment an investor can make.